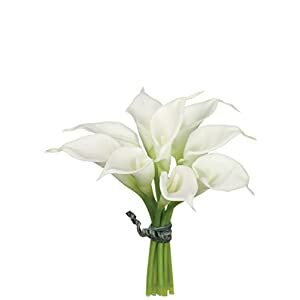 No matter how beautiful your artificial flowers were when you bought them giving them an occasional refresh can brighten them up – so it is useful to know the process of cleaning silk flowers. Remember that an occasional clean is nothing in comparison with real flowers – such as watering, cleaning up and fertilizing. With the processes below it might prove valuable to take apart those parts of the arrangements that can be. Cleaning them individually can make the job easier. 1) Use a feather duster to get off the worst of any dust and do it gently. To make sure the dust does not go further into the silk flower hold the arrangement and the duster at an angle and over say a sink. 2) If you happen to have one (and if not they are not expensive) use a can of compressed air. Spray away from the stem and when cleaning a petal spray on the petal where it meets the stem – gently. 3)I know it sounds weird but think about a salt bath if there is LOTS of dust – put in a grocery bag with two tablespoons of salt and shake the bag. That will remove lots of dust. 4) if still not clean enough try these next two – you may use to use a liquid spray at this stage – try a spray 50% water 50% white vinegar. Use a clean cloth to pat dry. 5>and finally if still no luck (or can do instead of number 4) put s small amount of dish washing liquid in a sink or bowl, fill with water. Gently move around in the water – the dust and dirt should come off easily. Part dry and put out for drying.